The Formatt 80D Glass Filter is blue. It is used to balance daylight film under artificial, tungsten or standard (household) incandescent lighting. An 80D filter is the least "powerful" of the 80 series. When using daylight film and you'd like to leave even more yellow than if you were using and 80C filter, the 80D is the way to go. An 80D doesn't bring the temperature up to daylight as much as an 80A, B or C.
This process is revolutionary compared with conventional filter dying techniques by eliminating the need to directly coat the glass surface itself. The repeatable performance gained through A.C.T. 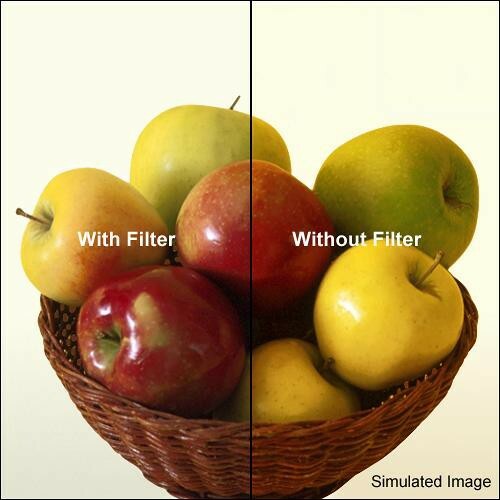 ensures that at any time you have to swap like filters for like filters mid shoot, you can do so with confidence with no discernable differences in color or density.